Founded by practitioners in law enforcement, Centerfire Training & Consulting is a South Florida based company offering training via custom designed courses in firearms, law enforcement, and security as well as private investigations, security services. Combined, just our in-house instructors have over 106 years of municipal and federal tactical, investigative, and supervisory law enforcement experience. We offer custom designed courses to suit your wants and particular needs as a future client. We can take one of our base courses and add or remove subject material to offer a better fitting package that your group wants. We have an extensive networking set of instructors that offer a wide variety of different subject material. Basically, if the courses you are looking for is firearms, law enforcement, security, military, or medical related, we have the right Subject Matter Expert to teach you. Centerfire is based out of South Florida but it doesn't matter where our future clients are located. We will travel to your location, whether in Florida, nationwide, or internationally, and use your facility to teach the course or offer services. This eases scheduling and travel restrictions that our clients may have and facilitates multiple members of your staff to receive the requested services simultaneously. When your organization hosts our training class in your jurisdiction, we will offer your organization free seats based on the amount of seats sold. 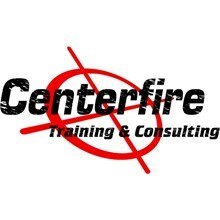 In addition to training services, Centerfire provides consulting services to various organizations including but not limited to; Homeowners associations, private social clubs, defense legal teams, private investigators, school criminal justice programs, firearms ranges, shooting clubs, and private individuals and businesses. Our staff consists of retired municipal and Federal officers with vast experience in the criminal justice field and can provide clinical and information gathering skills that most organizations do not have the time or experience to do. We provide affordable, reliable, and efficient investigation services for individuals, businesses and attorneys alike. Centerfire’s investigators are fully insured and licensed by the State of Florida. We supply professional facts and information in a detailed report so our clients can make informed and smart decisions. Our cases are always handled with the utmost discretion and confidentiality. Our customers’ peace of mind is paramount. We are dedicated to providing our clients with the most up-to-date information as well as video and photo evidence indisputable in court. Centerfire offers plain clothes, armed and/or unarmed security services including but not limited to; individuals, businesses, churches, schools and the entertainment industry, etc. for special events, promotions, exhibitions and private personal security (bodyguard) for individual’s subject to threats and/or bodily harm, etc. CTAC will provide the highest level of customer service to accommodate our clients’ security needs. Our security specialists have the training and experience necessary to confront and mediate with disruptive individual(s) to attempt to diffuse a potentially violent situation. If reasonable attempts fail to de-escalate a hostile situation, our security personnel are prepared to use the minimal level of force required to restrain and detain unruly persons until the police can arrive and remove them.